I noticed they offered a free 1-hour option for T-Mobile customers when I viewed the connection screen on my phone. However, this option was not visible on my laptop where I do most my work. Being the sort of person who likes a challenge and wonders how things are made I tried to see if I could get the free hour working on my laptop. I'm happy to report I did! Open up a new incognito browser in Chrome. 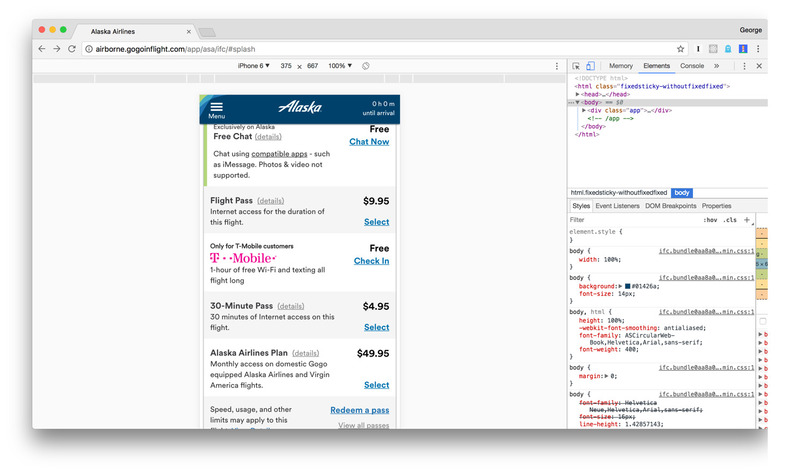 Open up the developer tools and toggle the device toolbar. It will probably default to a mobile phone, but double-check and make sure you have some kind of mobile phone selected. 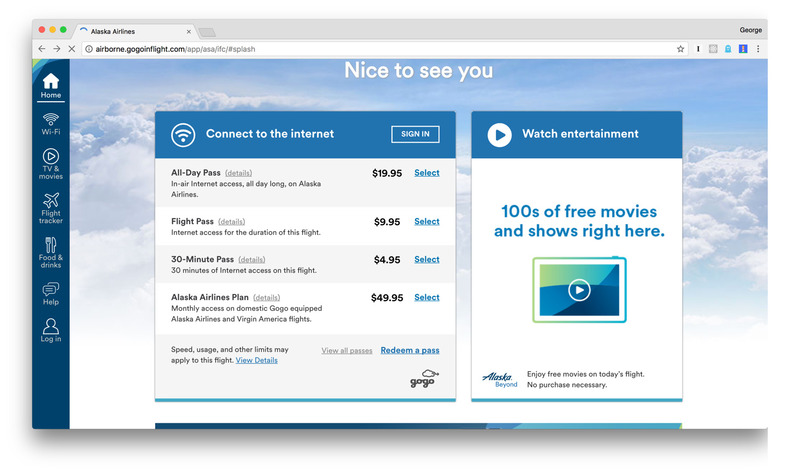 Go to the GoGo connection site: http://airborne.gogoinflight.com/app/asa/ifc. You should see the mobile version that (at the time of this writing) offers 1 free hour for T-Mobile customers. Click on it and connect. It will prompt you for a phone number. 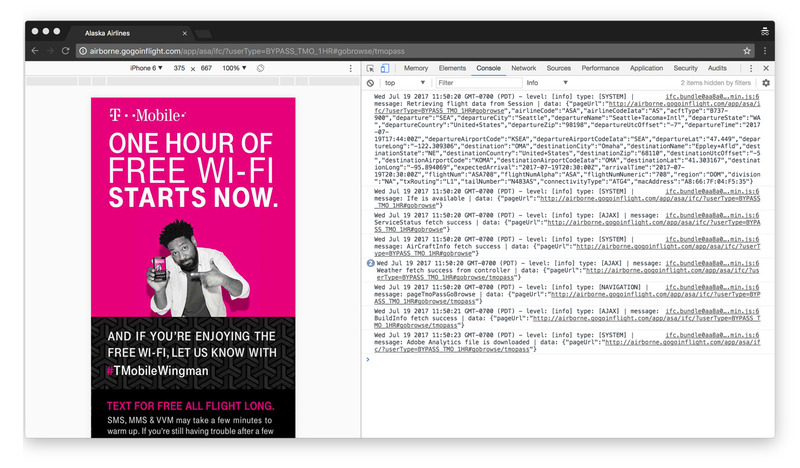 The incognito step is not strictly required, but I tried to visit the GoGo connection site prior to enabling the developer tools. It must have set a cookie or something that indicated I was not on a mobile device because, even though I was able to get to the T-Mobile sign-in screen, it gave me an error saying the free hour was only available for mobile devices. I'd be curious to hear if other people have tips for circumnavigating airline wifi.